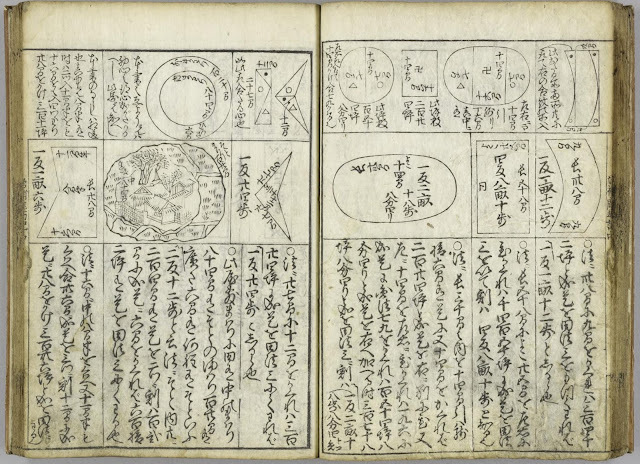 From the illuminating site Japanese Mathematics in the Edo period (HERE). Shinpen Jinkoki is a three-volume book edited by Yoshida Mitsuyoshi (1598-1673). The book underwent many revisions in Mitsuyoshi's lifetime. The version published in the eleventh year of the Kan'ei era (1641) became the most widespread, and the last version Yoshida himself published was the Idai book, in the eighteenth year of the Kan'ei era (1634). The first volume of Shinpen mainly describes multiplications and divisions using the soroban, while the second and third volumes include an assortment of practical and recreational problems. The included problems are not arranged according to any specific order. The book includes ideas that keep readers from boredom by adopting a wide variety of problems such as calculations of areas of rice fields, problems related to the construction of rivers and banks, geometric progression, and the Josephus problem. This Shinpen Jinkoki was the most widespread version among the copies of Jinkoki widely used as a textbook for soroban throughout the Edo period. 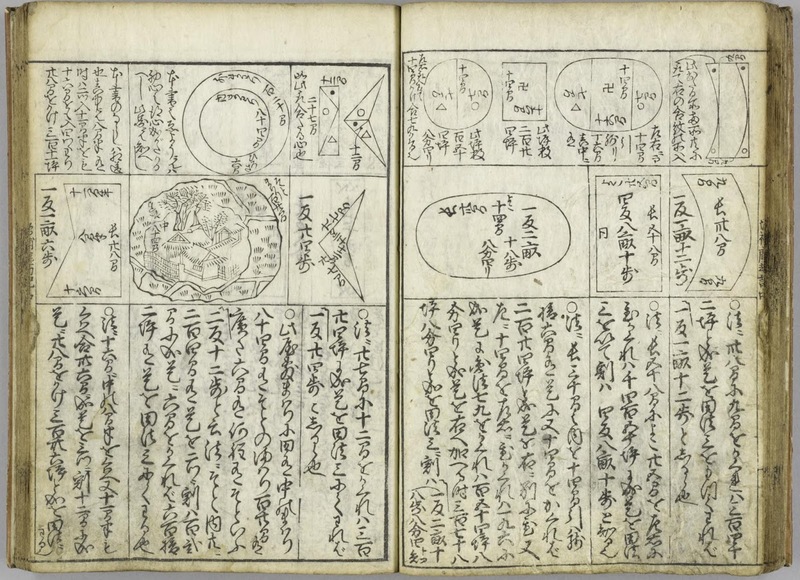 The image below is from a 1689 edition of Shinpen Jinkoki.